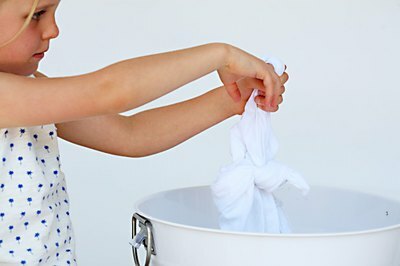 Soak the shirt in a mixture of half white vinegar and half water. After it's soaked through, wring the shirt out. Tie knots in the shirt, or twist up parts of it and hold them with rubber bands. This will create bands and spiral patterns in the shirt. Wrap the shirt in plastic and place it somewhere and let it sit undisturbed for about eight hours. 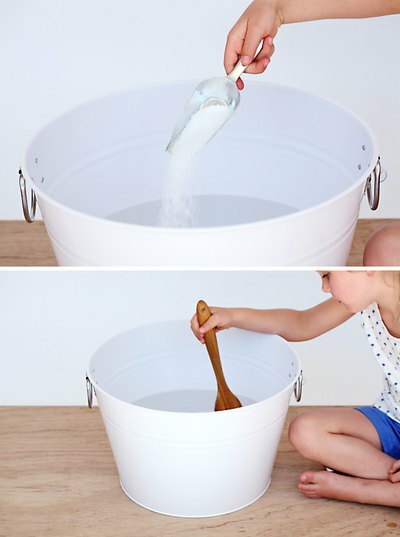 Fill a tub with cool water and add salt, stirring until you can't get any more to dissolve. 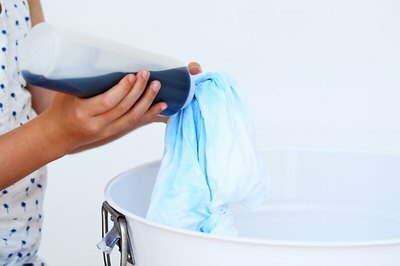 Wash the shirt in the cool salt water to set the dye. Wash and dry the shirt as you normally would. It is now ready to wear. Consider using actual clothing dye. 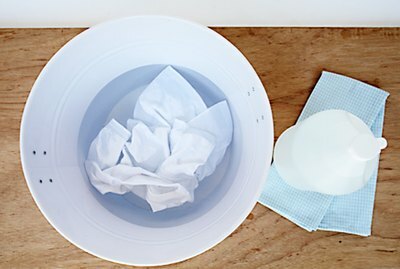 Food coloring works well for food, but it can bleed and fade quickly in clothing, and it can only be used with certain fabrics. 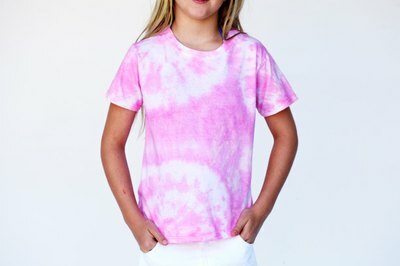 Follow the link below for how to tie dye with actual clothing dye. Get a wool or silk shirt. Both of these textiles work fairly well with food coloring. Nylon also usually works well, but it sometimes has a synthetic coating on it that stops it from absorbing the ink. 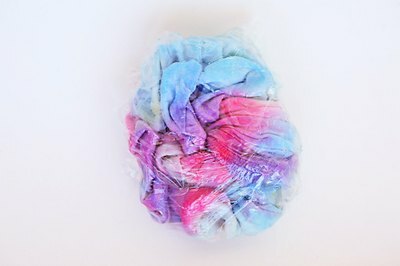 Cotton will not hold food coloring as well.